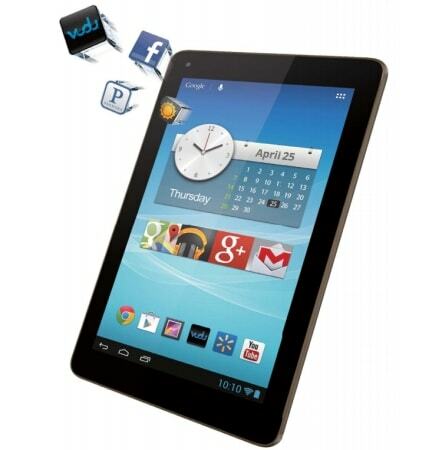 Hisense Officially Launches Sero Android Tablets With Prices Starting at $99. That $149 Nexus 7 clone I reported on a couple days ago is now official, and it has a $99 sibling. This tablet is Google-certified, and it is selling for $149. It's going to be available on the Walmart website, but not until 24 May. Luckily it seems that this tablet will also be available in stores, or so the the early sales reported a couple days ago suggest. I have to say that the in-store sales surprised me. Walmart carries an extensive selection of ereaders and tablets on their website but the stock carried in store is usually limited to only a few popular models. Hisense also announced a cheaper 7" tablet today. The Sero 7 is targeted at the bottom of the budget market, and it's going to sell for $99. Like the Sero 7 Pro, this cheaper tablet will ship with Google Play as well as a number of other pre-installed apps, including the Nook app for Android. VUDU, Walmart, Pandora, and Facebook. That is cause for excitement I would say. Are you going to rush out and get one of these tomorrow ??? I don’t think Walmart.ca carries them.